A 360 camera is great, especially when you need to capture the full view of your work at your job site and your surrounding architecture and share with your YouTube or Facebook friends so that they can pan around and experience your work as if they are actually there. A great 360 footage and image are usually as important as a great building and designs – sometimes even more. This is because it can help your viewers to have a deeper sense and perspective of your work which could land you more clients and employment. 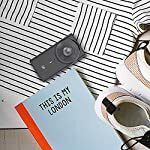 Sure, you need the best 360 cameras for architects to take high-quality photograph and footage which is crucial for contemporary architecture. 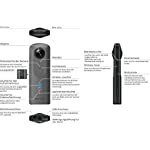 However, choosing the right 360 cameras for immersive architecture can be a challenge – selecting among the prototype, the ones already in stores and the models that would be released into the market in the future. 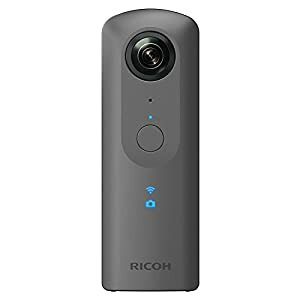 This post will not only show you how to select the best 360 cameras for architects but will also provide you with the review of some of the best 360 cameras for immersive architectural photography in the market today to help you make the right choice. 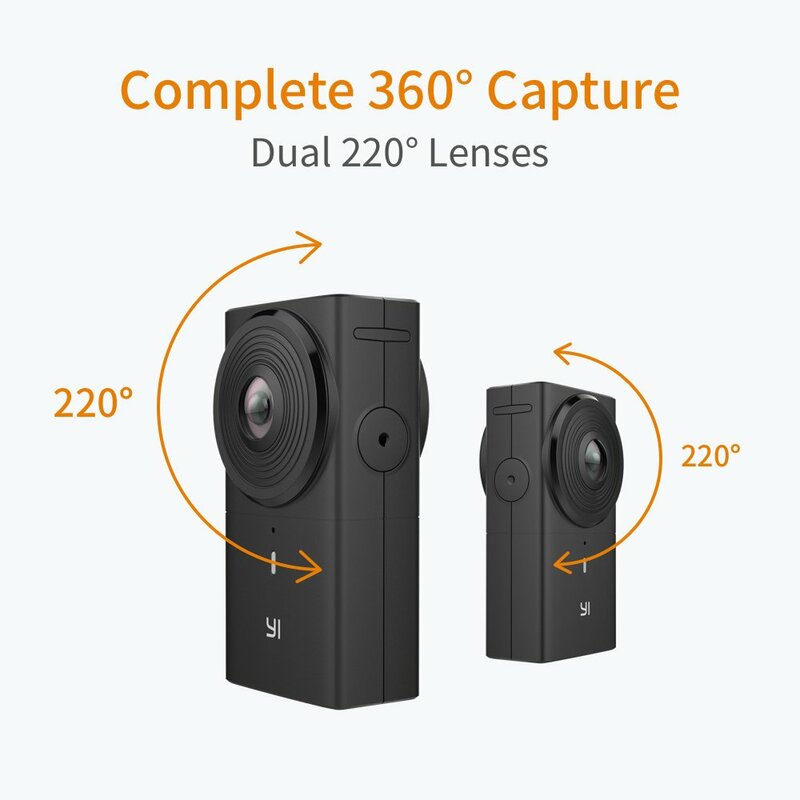 Since there are lots of makes and models available on the market today, the most important question that you need to clear in your mind is how you can get the best 360 cameras for architects from the market. The best way to choose is to consider your requirements and the product’s features as well as its advantages and disadvantages to select the one that suit you best. In this section, we are going to show you some of the features to look out for and the factors we consider while making our selection. 360-degree media must have a very high resolution for them to have the match the high definition quality of traditional videos. 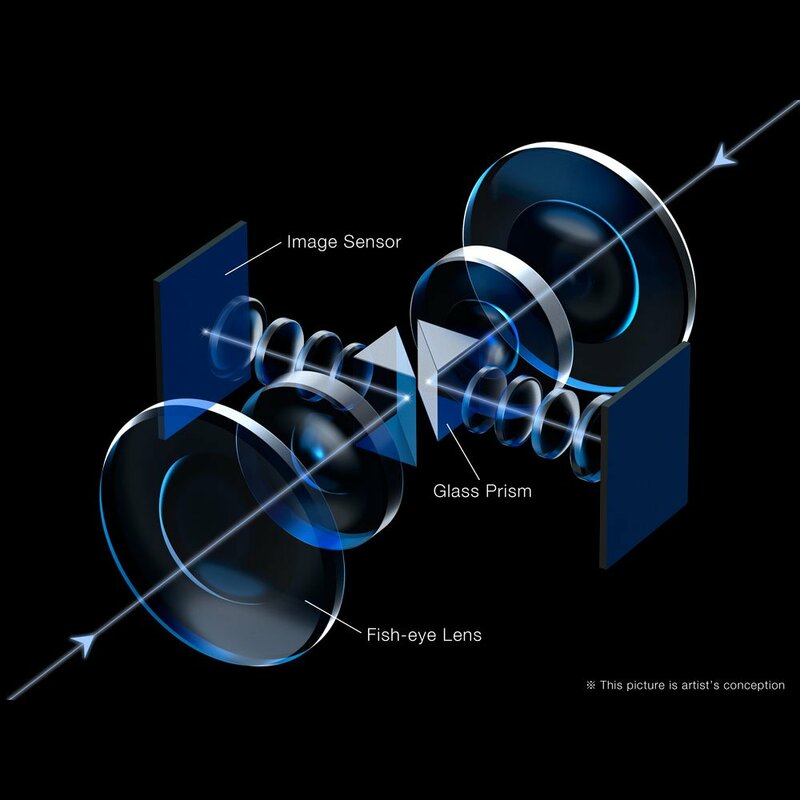 The standard resolution that is required for the production of High Definition video in regular cameras is1080p for HD video. 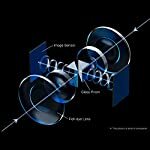 However, a minimum requirement is 4K video resolution, for a 360-degree camera to produce content that appears HD in quality. 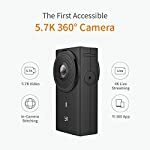 So if you are looking for a professional grade 360 camera to capture your work and the world around you, you should look for those that can produce videos with 4k resolution or more and images with 15 megapixels or more. 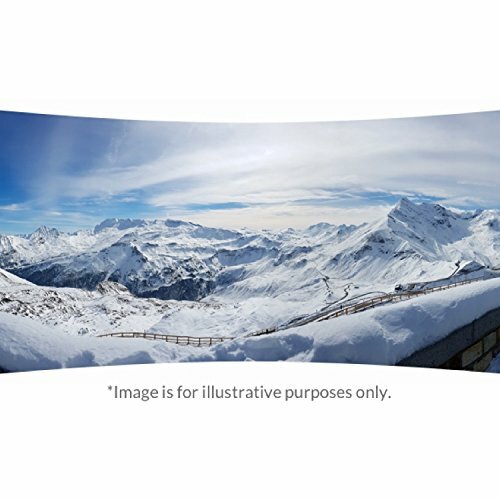 Images and video from 360 cameras are formed by combining two or more images of the same scene together to form a single image or video. This process is known as stitching. 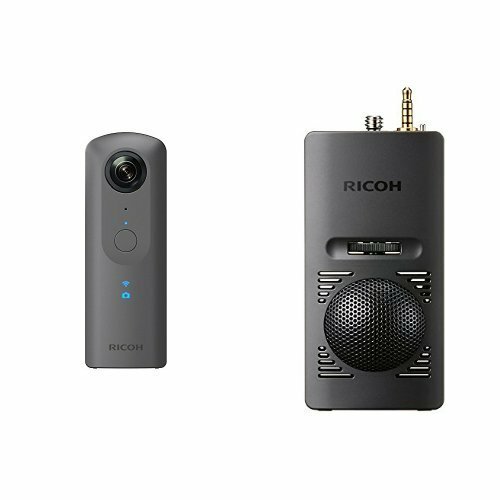 The best 360 cameras for architects should be able to stitch the pictures captured by the camera lenses together on an accompanying mobile app or do so automatically in the camera software. You also need to consider the quality of the stitching to select the best. 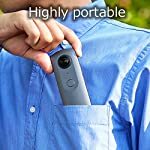 A good 360 camera with good stitching quality will have little or no noticeable lines at the point where the pictures meet. To check the camera’s stitch quality, you can watch the 360 videos produced by each of the cameras and pan around the video to check if you can easily discover the lines where the pictures meet. This feature is a must if you intend to move the camera while using it. 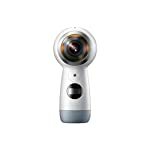 Some 360-degree cameras come with excellent stabilization software that you can use to smooth out the vibrations and bumps. 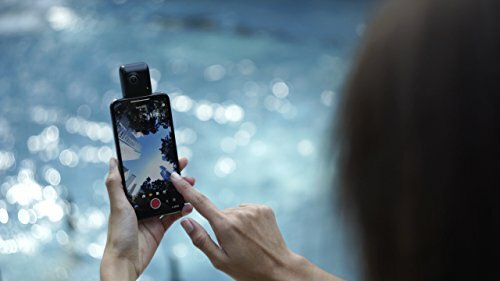 Waterproofing and accessories like a protective case is another feature that can help improve the longevity and durability of your 360 cameras (since it can save you from accidental damage that can be caused by splash or immersion in water). 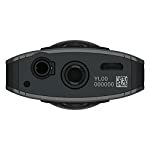 This feature can increase the cost of the camera and should only be required if you plan to use it in a more challenging environment such as waterlog areas or areas that are prone to rainfall. 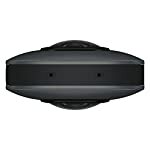 Buying an expensive 360 camera with lots of features that are not easy to use will only amount to a waste of resources. 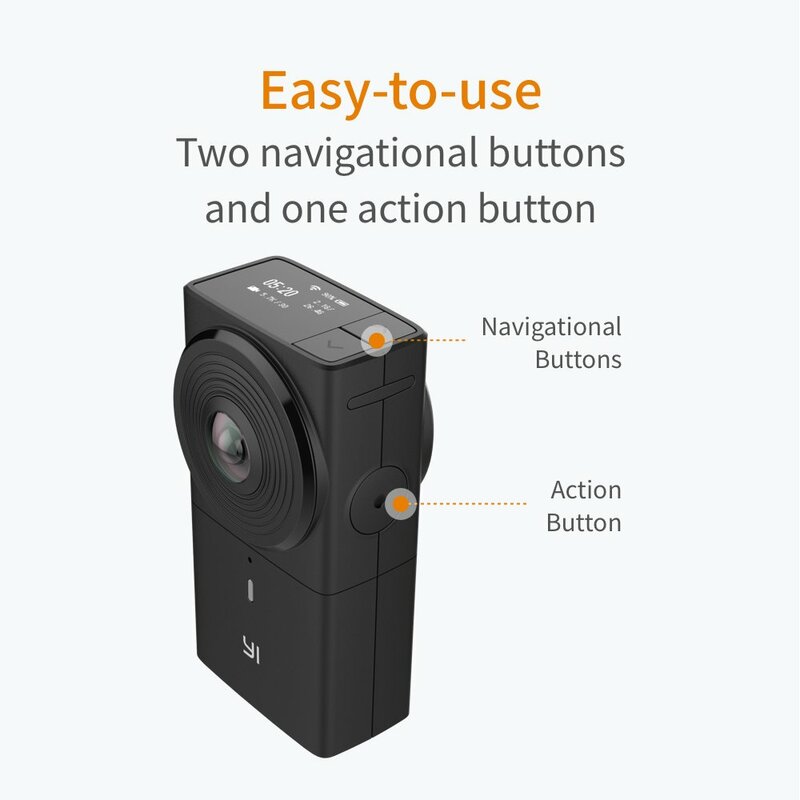 So it is important to select a 360 camera that is easy to pick up and use at your job site. Check if the camera is backed with good software that allows you to control it with ease. 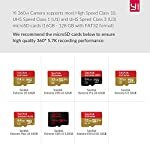 Most cameras rely on the external memory card as their primary storage. A camera with external storage of 64GB or more would be perfect, but you will have to check the camera to see the maximum external storage capacity supported. 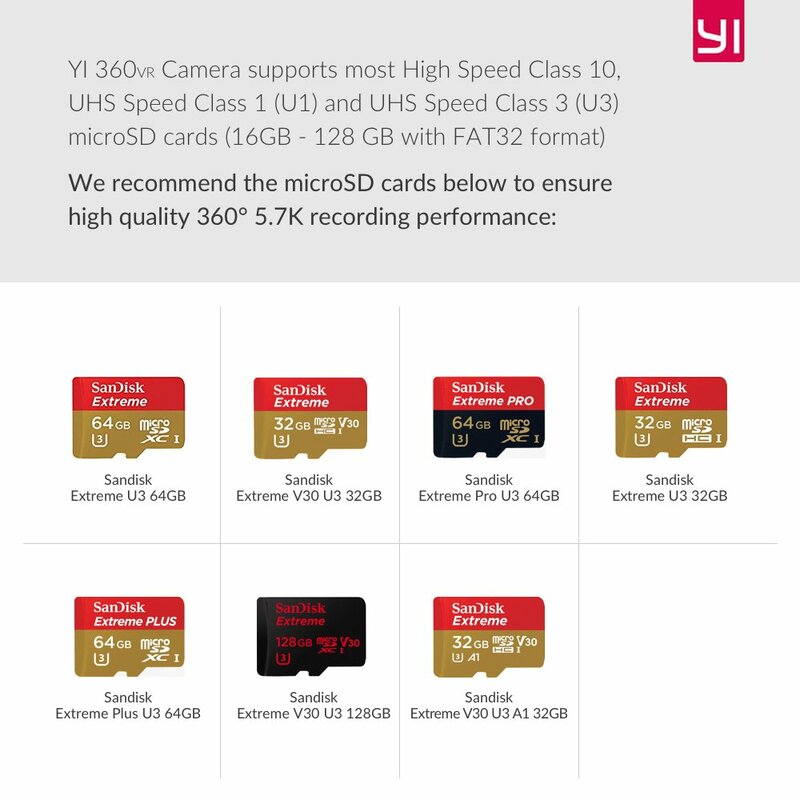 360 media occupy more storage space than the traditional media files, so it’s advisable to buy a 32 GB micro SD card or more to store your files. A good 360 camera should be able to offer you up to 70 minutes of non-stop recording. You should also note if the camera’s battery is inbuilt, removable or interchangeable. 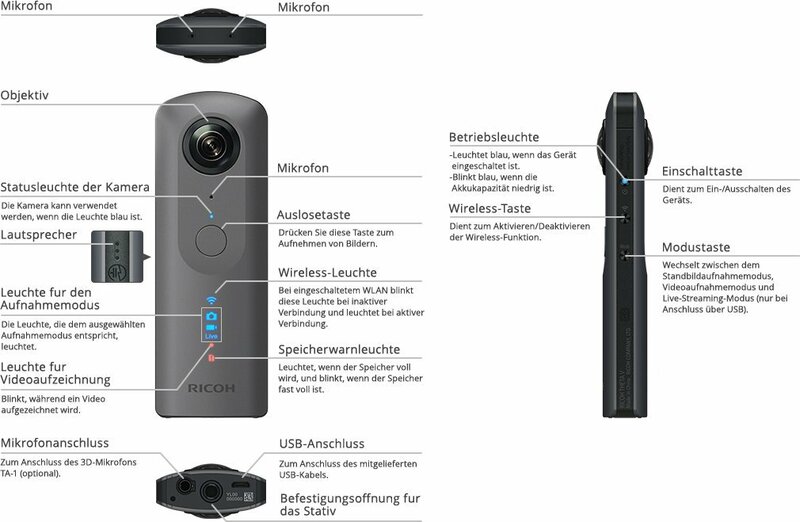 360 cameras with interchangeable batteries are often better, but they are not that common. 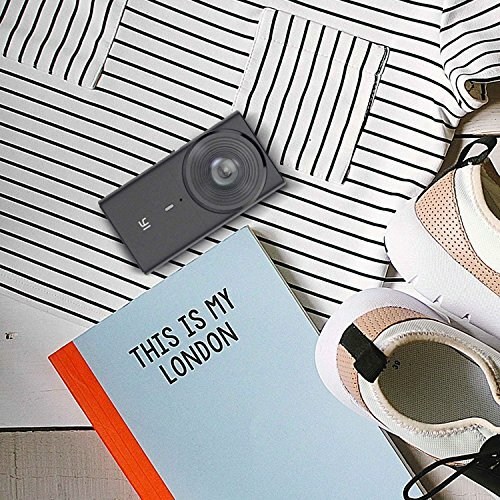 However, you can go for a 360 camera with an inbuilt rechargeable battery that can offer up to 60 minutes of shooting as it is more convenient than using a camera that only offer a few minutes of non-stop shooting at a time. 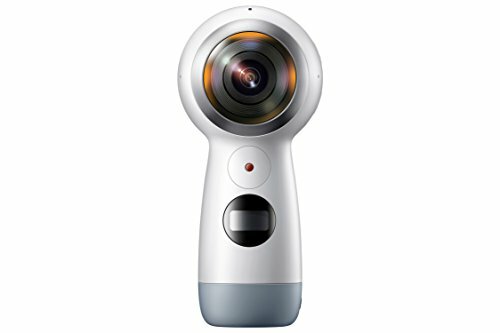 Whether a 360 camera is good or not cannot be determined by just looking at the camera’s specification since the camera can be falsely advertised. That is why you should check the review and customers feedback before you make your decision. We selected different 360 cameras with great specifications, features, and support and later selected 10 cameras with the best ratings. From there, we checked their reviews and users feedback and selected 5 cameras with outstanding features and lots of positive feedbacks which you will see in the review section below. 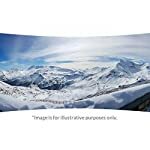 Front back: put yourself in the action with a picture-in-picture that shows your facial expression as you capture a moment. Points: control the camera's perspective, after-the-factor, by tapping on specific points of Interest in your video. 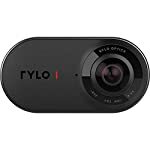 Rylo magically produces a fluidly smooth video that connects each of your points. The Rylo is an innovative 360 camera with 4K resolution and excellent stabilization. 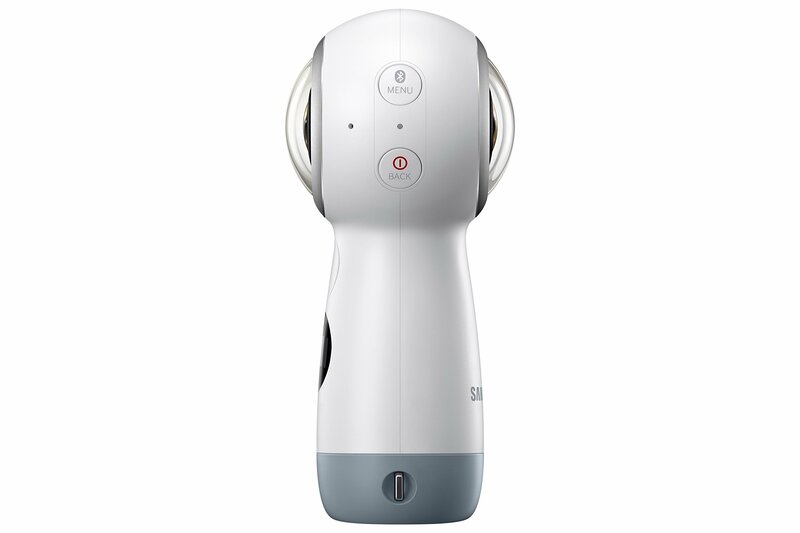 It can shoot smooth and clean 360 videos and images in almost any situation. The best part of this camera is that it comes in a portable design that makes it super easy to carry anywhere you go and even attach it to any moving object such as your helmet and capture great pictures or footage of your work at your job site. 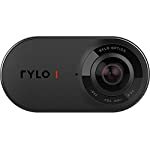 The Rylo360 camera stabilization is one of the best you would find on the market. It feels like your camera level is kept by a physical gimbal, you won’t have to worry about holding the camera steady to take great pictures and videos. 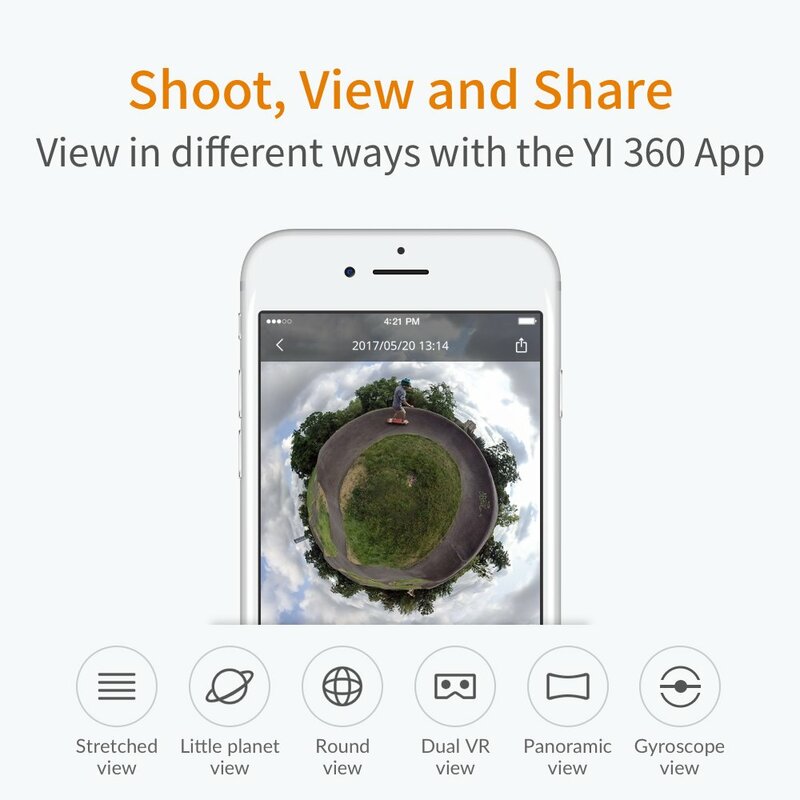 Moreover, it comes with an excellent, intuitive and user-friendly app that allows you to edit, watch or share professional grade 360 media files from anywhere. 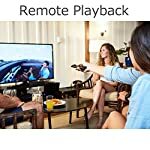 Finally, it is compatible with Android or IOS devices so you won’t have to wait till you get home or lug your laptop around to edit raw footage. The camera comes with a protective casing, a tripod mount, 16 GB memory card, and charging and sync cable. 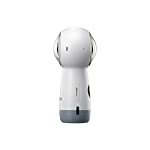 It supports micro SD card up to 256 GB and comes with 830mah battery that offers an average of 60 min non-stop recording. The camera itself is not waterproof, but you can buy the adventure case to make it waterproof. 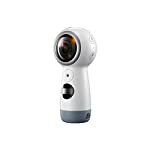 Insta360 One is one of the best value portable 360 cameras we tested that pack a lot of amazing features even in its tiny body. It comes with 2 fisheye lenses (Sony CMOS sensors) that are capable of shooting smooth, sharp and clear 4K videos and 24 MP photos in RAW. 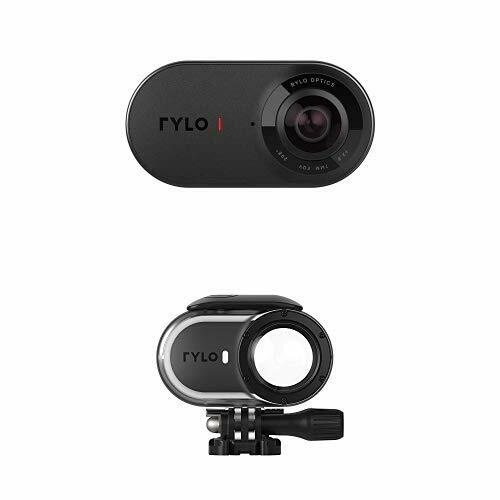 It comes with FlowState stabilization software that let you capture smooth, captivating video while you’re working or moving, and also choose where your camera is pointing even after you captured the scene. 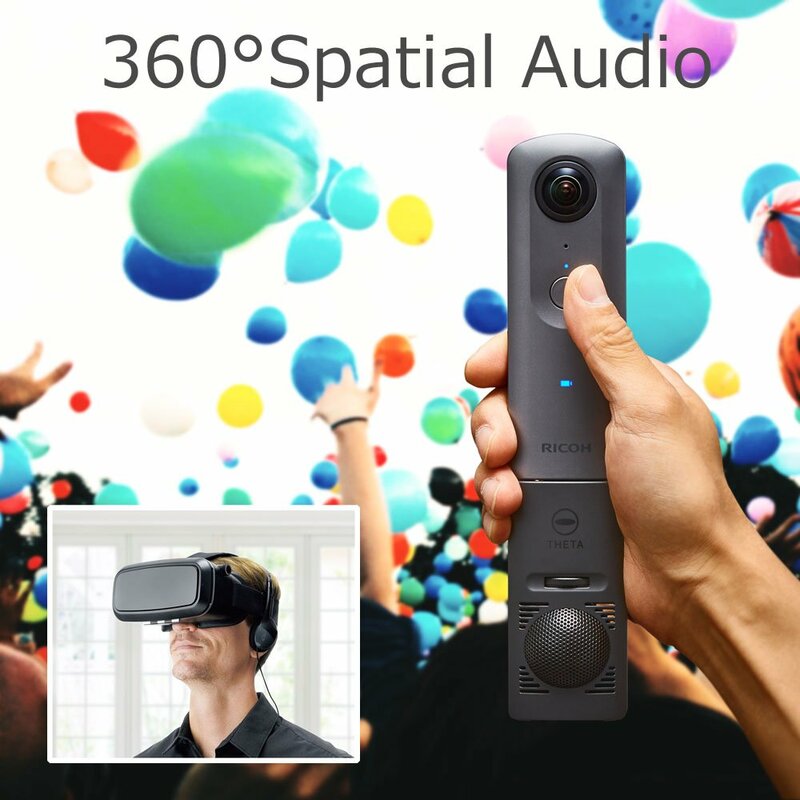 With this camera, you can capture impressive, immersive images and videos with its standalone control, control with Bluetooth or connect to your Android or IOS device to capture, stream live 360 videos or share your work and designs in full VR. Just like the Rylo, Insta360 One is not waterproof but can also be used with a waterproof casing. 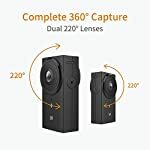 It features 1/4-20 tripod connector, 1 lithium-ion battery that offers up to 70 minutes of non-stop recording and 8 GB external storage that is expandable to 128 GB. Click here to watch a sample video. In-Camera Stitching: 4K/30fps in-camera stitching, shoot then share complete 4K 360 videos and pictures without the need of post-processing. 4K Live Streaming: Live stream 360° videos in up to 4K resolution with the built-in 2.4GHz & 5GHz Wi-Fi (5GHz recommended). If you are looking for a high quality 360 camera to create professional grade 360 images and videos to fully immerse your followers and clients in your work and designs, the YI 360 VR is perfect for you. 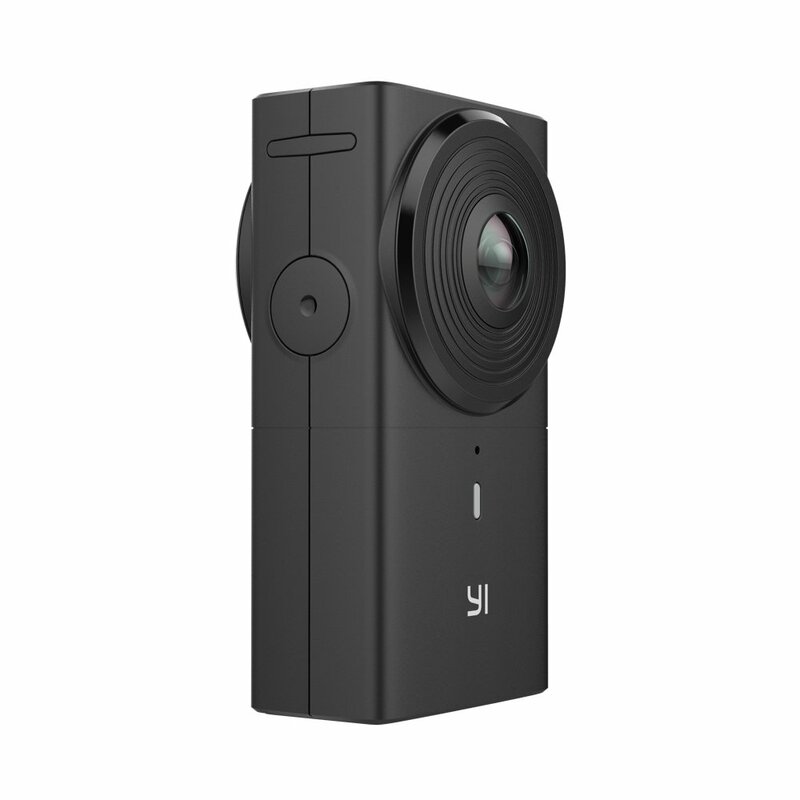 The camera comes with dual 220° lenses that are capable of shooting vivid fully immersive images and videos up to 5.7K resolution. The camera comes with a portable, lightweight design and can be mounted to any 1/4″ thread mount. Even though the camera can shoot amazing videos, it lags behind when it comes to image stabilization. The camera can hardly smooth out the bumps or vibration, so it works best for capturing still videos. 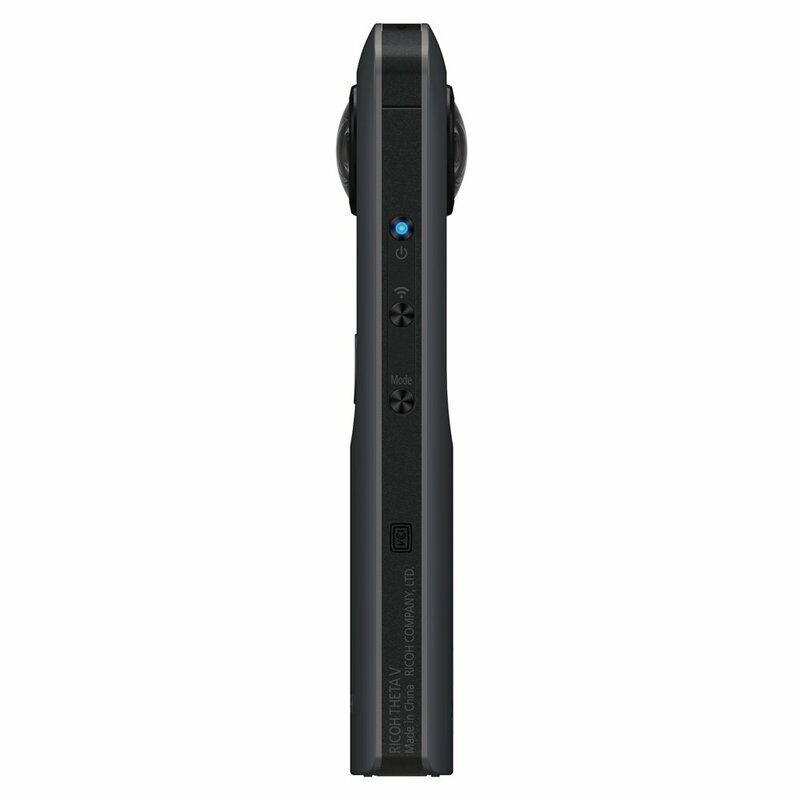 It is compatible with 2.4 GHz and 5GHz WiFi for streaming live 360 videos up to 4K resolution. 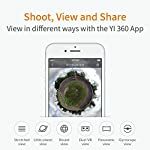 Although the camera can be used as a standalone device, it is compatible with both iOS and Android devices and also include the YI 360 app that allows you to connect to your phone and view, or download your 360 media files or instantly share to your preferred social media. 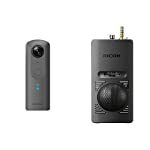 It’s replaceable 1400 mah battery lasts up to 50 min of non-stop recording and also offer in-camera stitching that reduces long post-processing stitch time. The Theta V from Ricoh is another high quality 360 camera you can rely on to capture stunning pictures and video and fully immerse your viewers in your work. 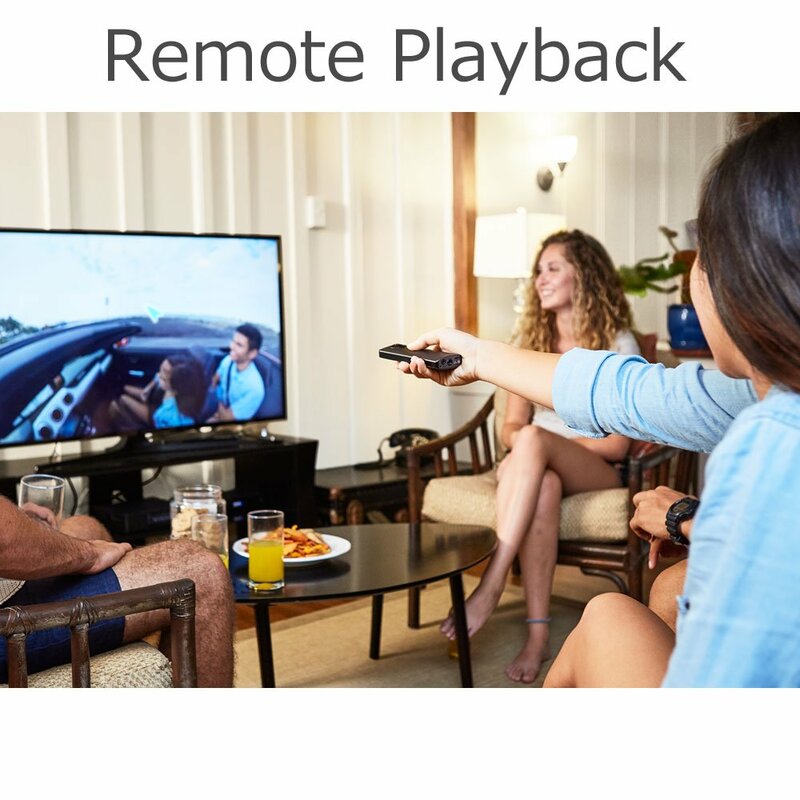 The camera features a slim and portable design that fits into the hand like a small TV remote. 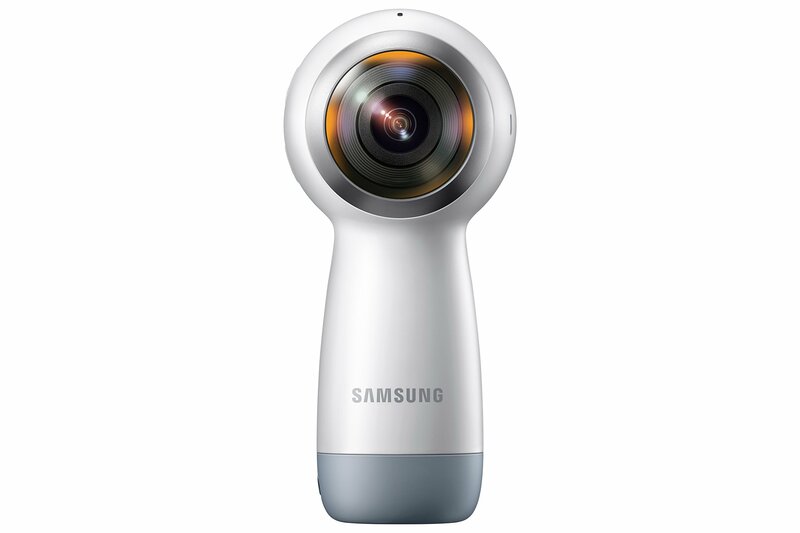 It includes a few buttons like the power button, mode, wireless on/off, and shutter; this made it one of the easiest 360 cameras to operate. 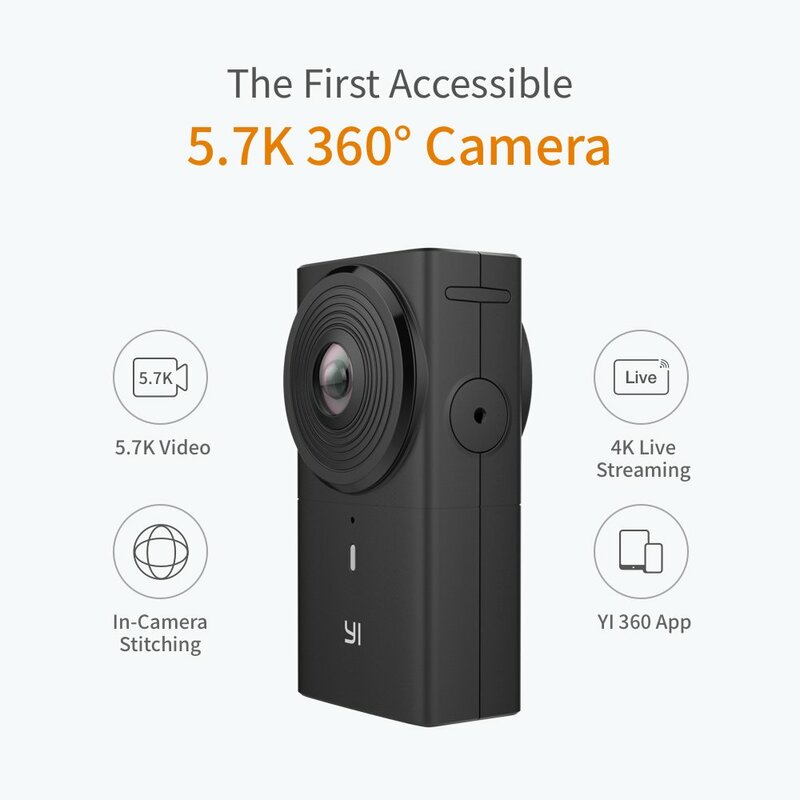 The camera is capable of shooting smooth and more realistic 360 videos at 30 fps at 4K resolution and clear images at 14 megapixels even in a low light condition. 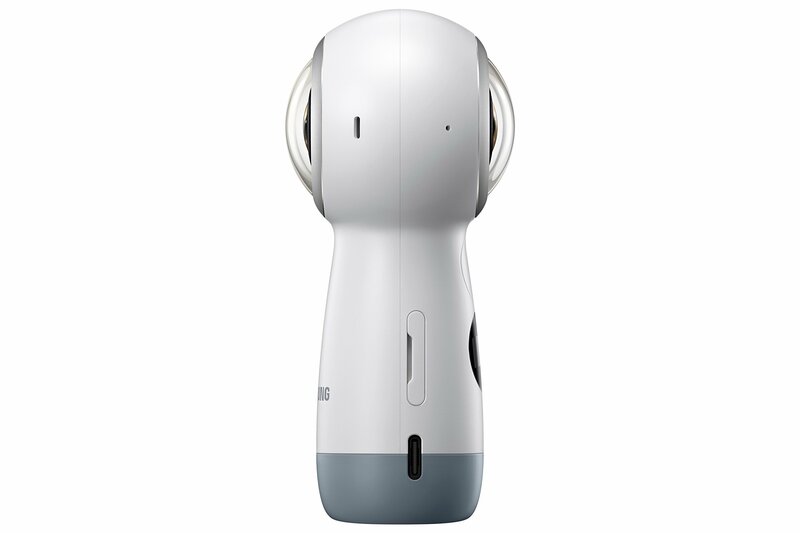 The camera also includes a 4 channel mic that is able to record 360-degree spatial stereo sound that pairs up with the video to produce a true to life 360 videos of the environment where you shoot the video and more immersive experience when viewing and listening with earphones. The image processing is 10 times faster than its predecessor, thanks to the powerful Qualcomm Snapdragon processor included in this model. 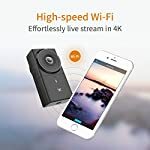 It can also be connected to iOS or Android devices via Wi-Fi or Bluetooth to transfer 360 contents, control the camera remotely, or adjust its settings. 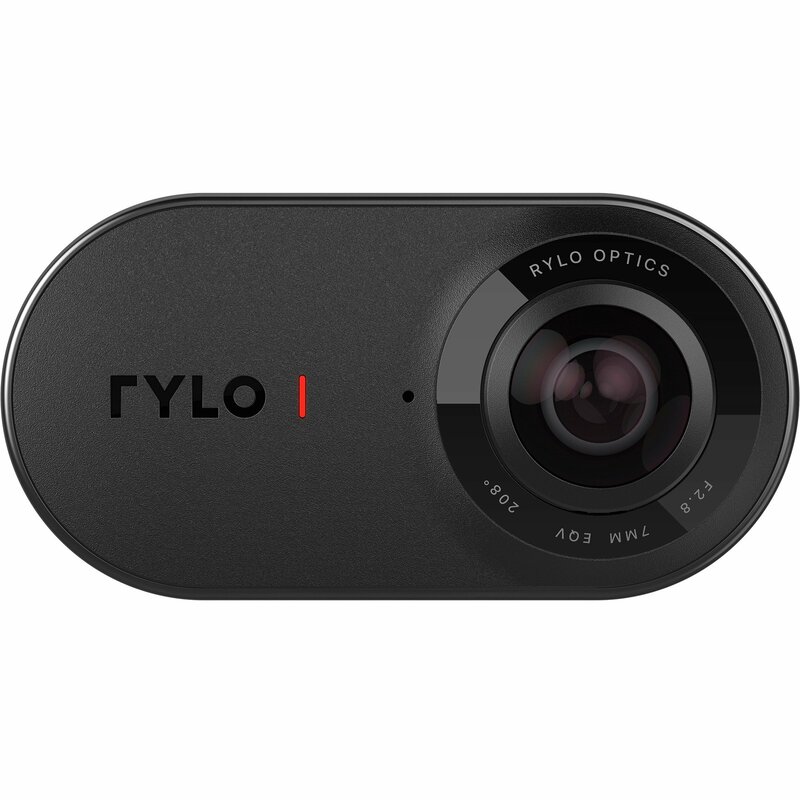 However, it lacks the software stability that is implemented in the Rylo and Insta360 One. 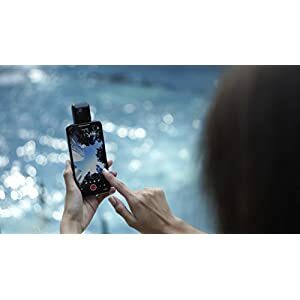 It offers 25min of video recording, supports no external SD card, and comes with 19GB internal storage which is small considering the memory demands of 4K videos. 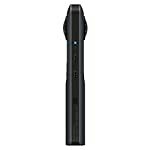 But the good news is that the cam supports an external hard drive that allows you to offload contents faster than wireless transfer. If you are looking for a high quality 360 cameras at a very affordable cost, you probably have to look the way of Samsung Gear 360 (2017 edition). 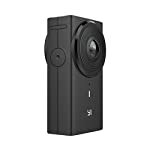 Apart from being the cheapest and best value 360 cameras on our list, it is probably the most popular 360 camera in the market today. 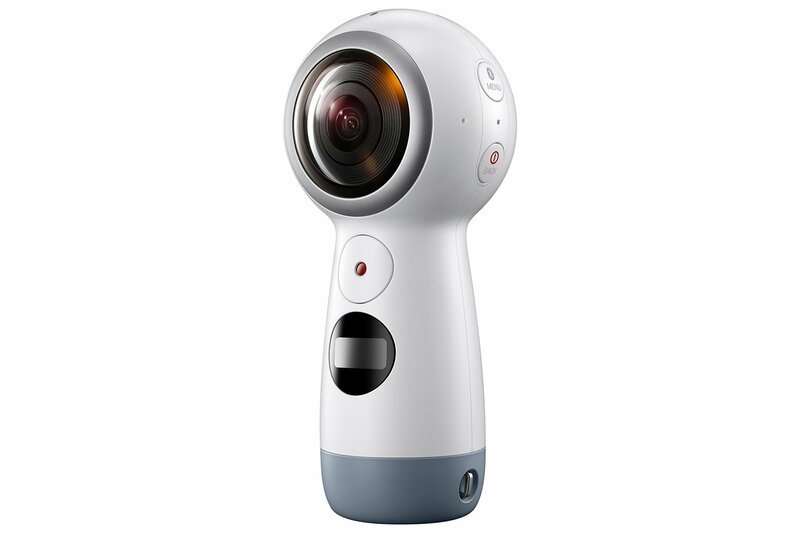 It features a portable design with two fisheye lenses that are capable of shooting real 360° videos at 4K resolution and still images at 15 megapixels. You can edit and preview your videos and images with a user-friendly app or share them on Facebook, YouTube or straight to the Samsung VR app with your Samsung Galaxy smartphones. The camera comes with 1160 mah battery and protection (certified IP53) against water splashes and harmful dust deposit. 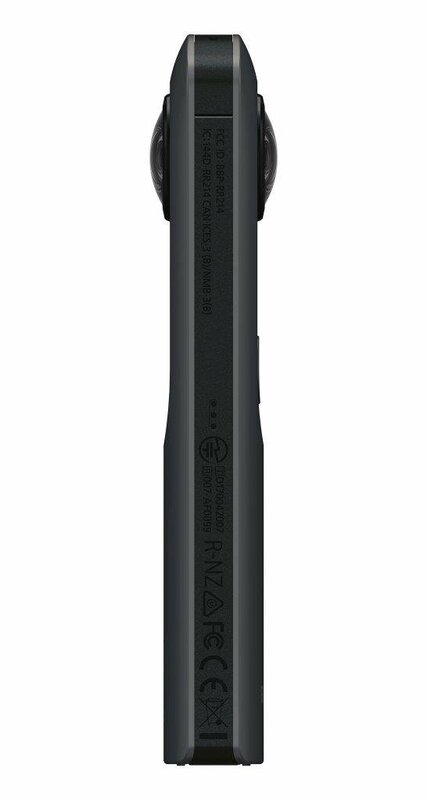 The addition of stabilization and lifestreaming features in this model gives it an edge over its predecessor. If you want a bargain, you can pick up the camera here at a huge discount. 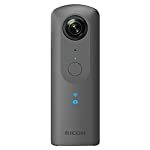 Above are the best 360 cameras that we recommend for architects who wish to immerse their viewers fully in their work and designs and get new clients and more jobs. These cameras are the ones we found more reliable, produces high-quality contents and has a lot of positive feedback. However, these are just our picks. If your preferred 360 cam does not make our list or if you have tried some other 360 cameras not included in this list that works perfectly for you, feel free to share it with us in the comment section below.